In the world of branded experiences big-box stores are difficult creatures to love. Even their most loyal customers can feel guilty for shopping at a giant shed on the edge of town instead of patronizing their small neighborhood stores. Yet they are lured back by the vast range of goods spanning both food and non-food items. 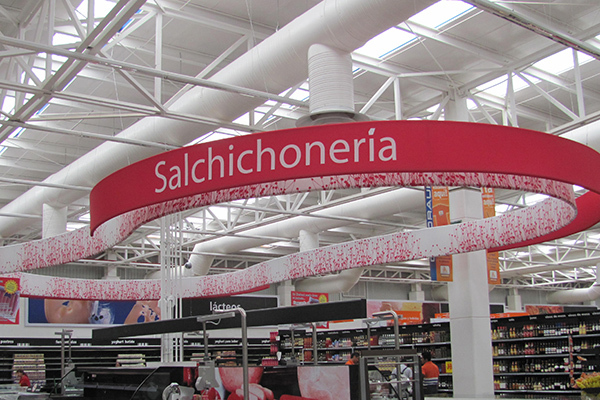 In Mexico, on the other hand, which has few luxury supermarkets and a culturally ingrained expectation of value, this large scale, highly stocked option is well accepted by every sector of the population. 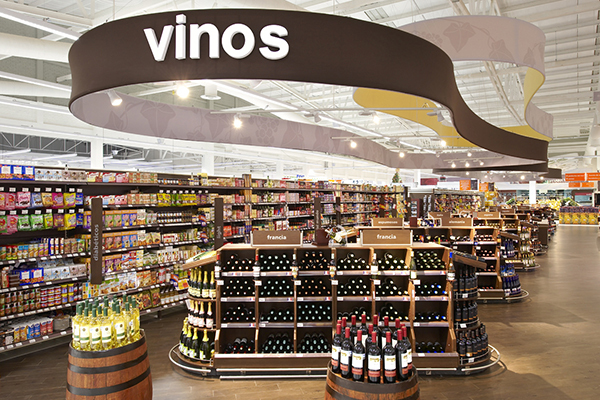 The family-owned chain, Chedraui, wanted to break tradition with a signature exterior and a simple interior that would place focus on communicating value while creating a clean, organized shopping experience for patrons. Architectural firm Little (Charlotte, NC) was brought on board to develop an environment that would break the mold from the current dynamic of the big-box. Aside from the Chedraui logo and the color orange on the exterior, Little was given the freedom to create an environment that would set apart big-box shopping. 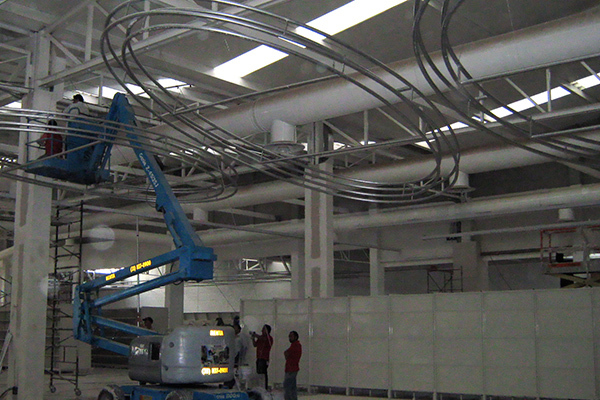 The first installation was within the chain’s Guadalajara, Mexico location. The result was a clean and modern experience, welcoming patrons with an iconic exterior made up of aluminum panels with iridescent orange paint. Inside, the sparkling terrazzo floor, fabric-printed images and clear way finding system guide customers, while white gondolas with rich dark wood accents provide product visibility. Fabric architecture played a large role throughout the interior and helped in creating the Chedraui experience. The 90,000 square foot environment took advantage of the characteristics offered by frame and fabric for way finding and ambiance. The elements included a 115ft long canopy, (3) 11.75ft x 21ft oval canopies, (1) 49ft dimensional header and multiple ribbon headers ranging in size from 35ft to 60ft in length. These elements were utilized in four main areas- Produce (Frutas y Verduas), Wines (Vinos), Electronics (Electronica) and Pharmacy (Farmacia). Partnering with the design firm, Fabric Images Internacional was brought on board to fabricate the fabric structures located throughout the environment. The collaboration brought about a mixture of textiles, each with a specific purpose in the space. While a metal detail was designed around several of the canopies, the application would have been heavy, expensive and riddled with seams. In place of exposed metal, a silver spandex was used which wrapped the frame structure. 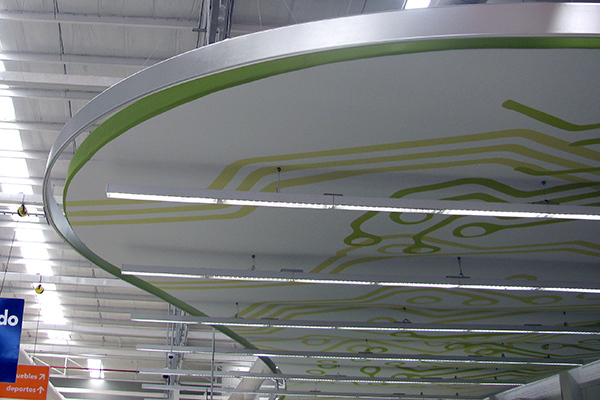 The result created an unmistakable representation of metal, while remaining light weight, cost effective and seamless. The color scheme within the space is used as an indicator for the different product lines. Colors were integrated within elegant graphics, printed onto the fabric using a dye sublimation process, and a series of stock-dyed fabrics. 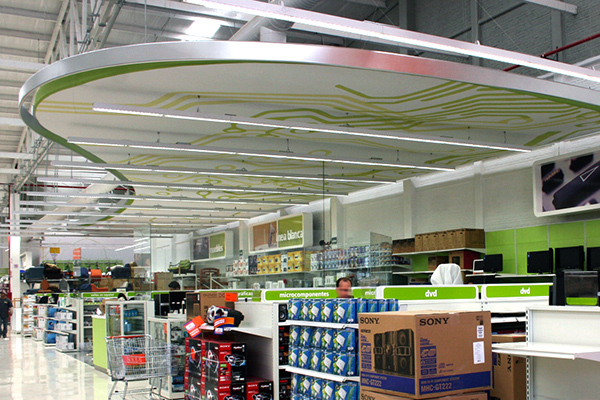 Due to the expanse of the ceiling canopies, wiring and support for drop lighting had to be accounted for. The flexibility of fabric made this integration simple and clean. 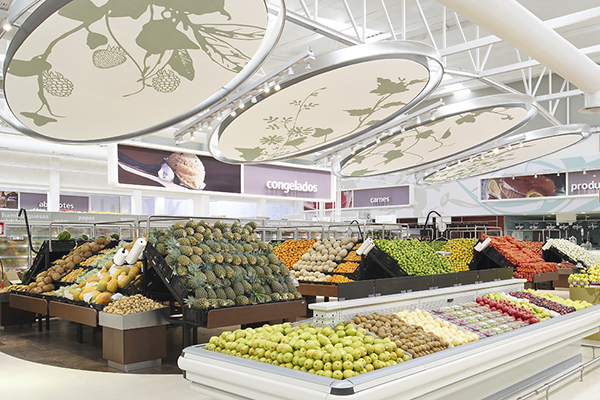 From the conceptual stage, Fabric Images Internacional worked on developing structural components that would bring life to the Chedraui brand. Each structure was carefully designed to fit securely within its designated space. Installation took place over two weeks in conjunction with the rest of the store. 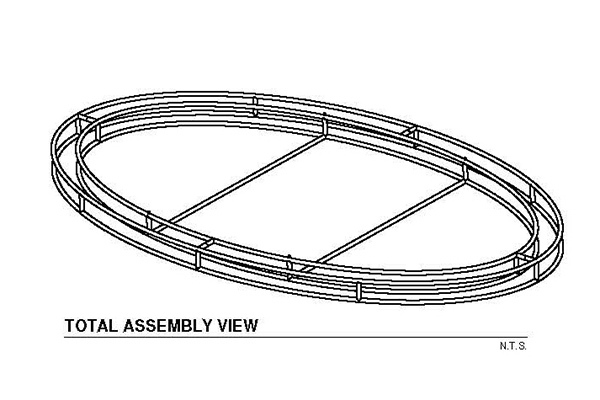 The frames were installed first with sections being assembled on the floor and then raised into the air. A week later, after avoiding a majority of the construction dust, the fabric was hoisted into the air and attached to the frames. 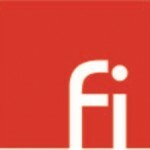 The grocery industry is one of the most rapidly evolving and complex sectors in all of retail. The industry has become steadily more design-driven over the past 30 years. Food retailers morphed from distributors of other brands to brand owners themselves, while simultaneously and continually adjusting to consumer fads and trends in merchandising, food and cooking – all within the context of complicated and expensive retail facilities. Printed fabric architecture is one of a few evolving technologies that allow retailers to offer an ever-changing palette for dressing these brand environments. Environmental design experts, like Little, know that developing solutions that are both strategic and tactical is a critical point to ensuring a well-received brand environment. Fabric architecture was the answer to this critical point and the Chedraui experience. The project was awarded an A.R.E (Association for Retail Environments) Visual Presentation Award for the oval fabric ceiling elements. Fabric Images, Inc. is a premier manufacturer of printed and non-printed tension fabric architecture and material solutions. Our focus is on integrating structural frame and textiles into environments to enrich brand quality and the expressive identity of a space.